CUPRUM FG LADDER 792 SeriesPlastic lid with tool slotsHeels with anti-slip soleSteps with non-slip surfaceAnti-pinching strapsType II Commercial Use 102kg. 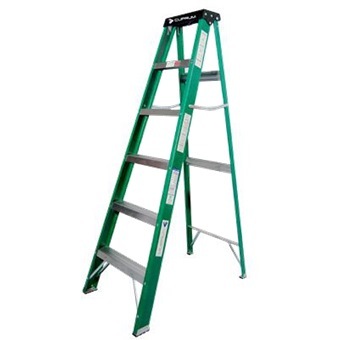 CUPRUM FIBERGLASS LADDER 792 SERIES is rated 4.5 out of 5 by 2. 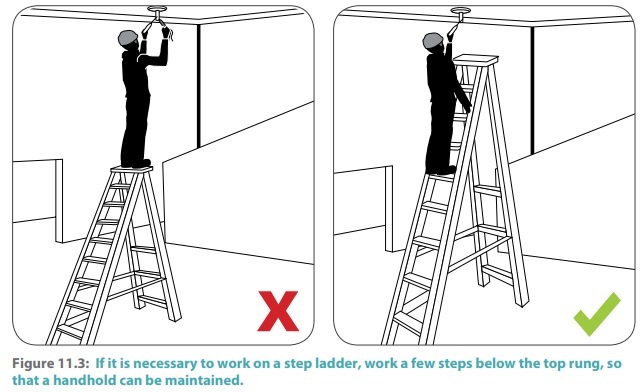 Rated 4 out of 5 by Occengineer1 from Nice sturdy ladder. 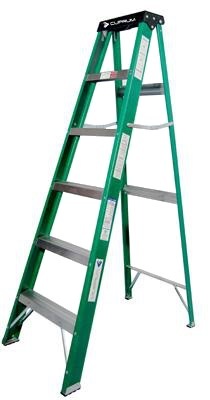 I owned several Cuprum ladders in my company in the states and found them to be quite durable and lasting. Rated 5 out of 5 by Sebastian from Great shopping experience Bought this caprum ladder and was pleasantly surprised with the good quality. Fast delivery and good customer service.